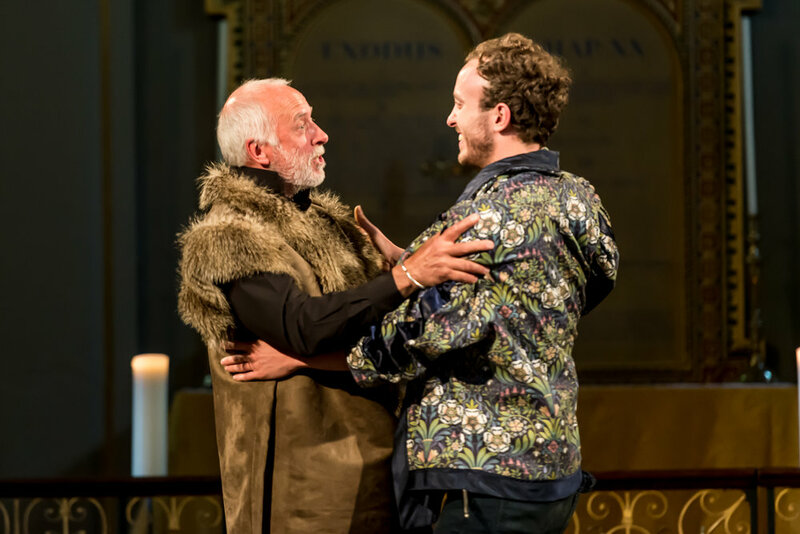 Scena Mundi’s first foray into Jacobean tragedy, this production of Webster’s Duchess of Malfi brings to life the dark, furtive and macabre world of Webster in the stunning setting of St Giles in the Fields, in the heart of the West End. Recently widowed, the young Duchess of Malfi loves and is loved by her steward Antonio. Desirous not to see life pass her by, she marries him despite the orders of her insidious brothers, unleashing a whirlwind of jealousy, madness and death. 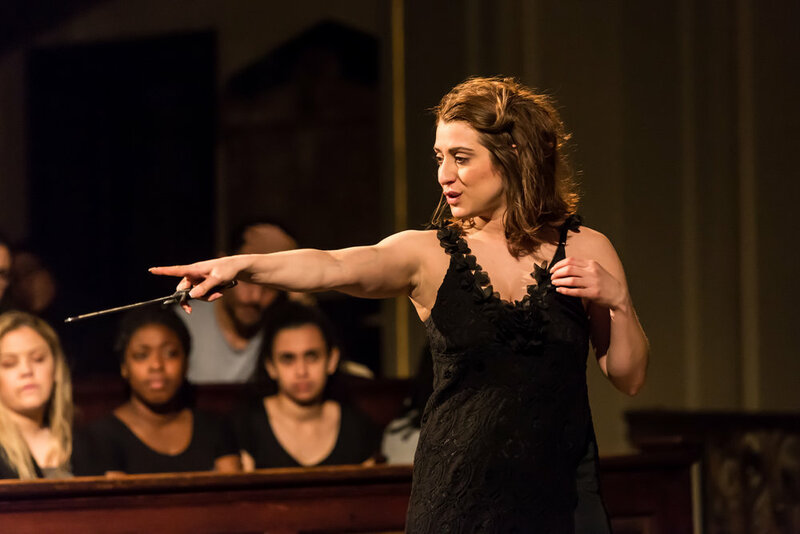 One of the few female-led classical plays, The Duchess of Malfi is set in a decaying world where the beauty of the palazzi, rich Renaissance fabrics, and jewellery cannot hide the rampant ugliness and corruption of the protagonists. Cruelty and beauty mix in a strange way to create a heady cocktail of refinement and morbidity, seduction and horror. 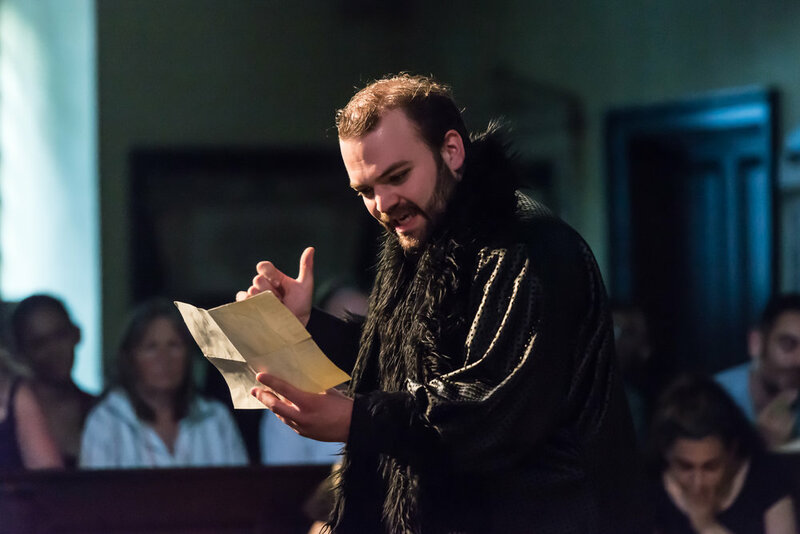 True to its standards of excellent acting and insightful textual exploration, ScenaMundi have decided to stage their Duchess of Malfi in a site specific environment which enhances the dark disintegration at the heart of the play. One of the few female-led classical plays, The Duchess of Malfi is set in a decaying world where the beauty of the palazzi, rich Renaissance fabrics and gold cannot hide the rampant ugliness and corruption of the protagonists. Cruelty and beauty mix in a strange way to create a heady cocktail ofrefinement and macabre, seduction and horror. True to its standards ofexcellent acting and insightful textual exploration, Scena Mundi have decided to stage their Duchess of Malfi in a site specific environment which will enhance the dark disintegration at the heart of the play. Further to our full-scale productions, in January 2017 we launched FORUM; a curated series of intimate readings, recitals and informal performances of lesser known classical works with Scena Mundi's acclaimed actors and invited guest speakers followed by open-floor discussions. The next event can be found on our WHAT'S ON page, and will always be announced first via our Newsletter. We are delighted to be relaunching our critically-acclaimed repertory production of Sad Stories of the Death of Kings. More details to be announced soon. Stay up to date with all our latest announcements, launches, events and opportunities by subscribing to our newsletter, below.